Hadley Splechter won the 2A State Championship in a time of 15:57. 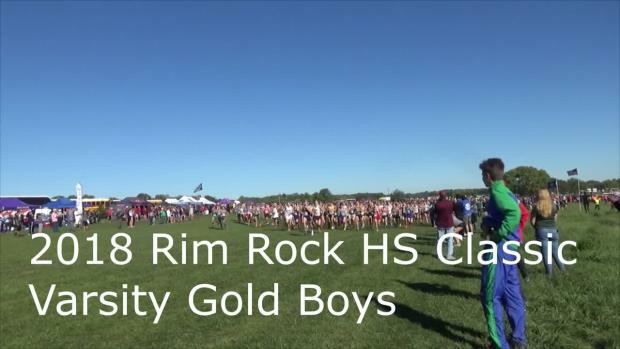 His season PR, the best from a male in Kansas this season, is a 15:18 from the Rim Rock Classic in September, where Splechter finished third in the gold division; A division featuring top runners from the multi-state area on the tough course. Photo by Briana Nash. Check out more photos by Briana in her KSHSAA 1A/2A/4A album here! 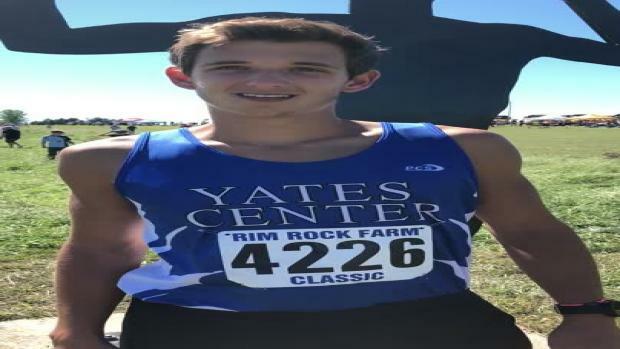 Kansas Milesplit Reporter Alexander Walters takes some time to get to know many runners around the state, and in this article we feature senior Hadley Splechter out of 2A Yates Center High School. Before we get started, I'd like you to give me a short bit or paragraph on what is important to you in your life and what you focus on and what you do for a living, including running, and what means the most to you. And then we can get rolling with the rest of the questions! There's a long list of what's important to me in life. My family, my education, my friends, my coaches, and my dog are some of the most valued. Apart from running I stay busy with working at a hunting lodge, and for my dad who owns a construction company. When it comes to what means the most to me, it's all about personal happiness. Being able to run, and do other sports and spend time with friends keeps me very content with life. We've all seen how this season has gone so far from our own eyes and from other's words, but we want to hear the true story and hear it from you. 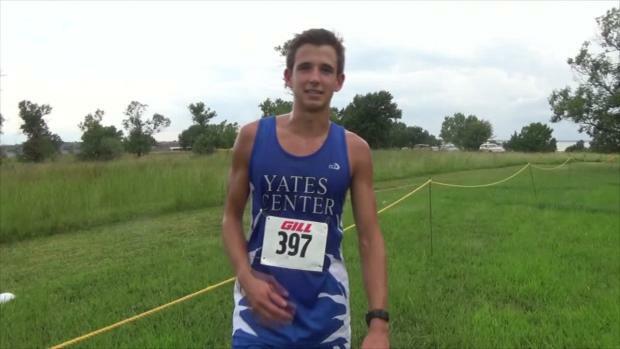 What has led you to here, from the time you started running, to winning the state 2A title back-to-back and having the lasting impact you have had the last few years on the Kansas cross country scene? I started running my 6th grade year, doing track. Believe it or not, I was a sprinter, I thought. My whole class was full of sprinters so that is naturally what I wanted to be, but I was the slowest one out of the bunch. Since I was the slowest sprinter, and we didn't have many distance runners, my coach started putting me in the distance events, and I started to win. Throughout middle school I never really focused on running. Once I got into high school I started actually training during the off season, and taking better care of my body. I actually wanted to quit my sophomore year of track during the season. Most people don't know that, but I was having some pretty bad off and on knee problems. Best decision I've ever made was to stay with it, and ended up have a very successful state meet that year. Tons of hard work has gotten me to the level I am at right now, and I plan to work even harder as time progresses. But it can't be assumed that your senior year of cross country is over for you yet. Do you have any big post season plans against out of state competition? 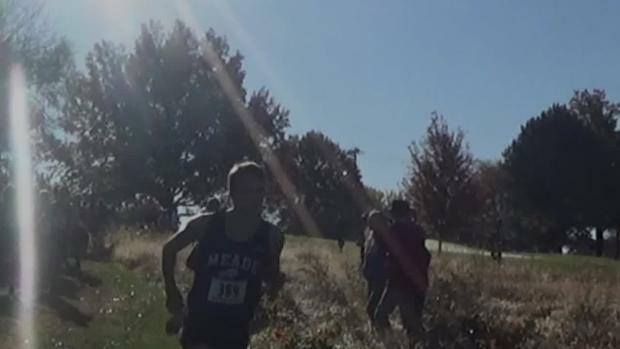 I get the privilege of running at the Nike regional in South Dakota. Hopefully I end up qualifying to go to the championship race in Oregon, but if not I'll be going to a national race in Kentucky. Alright, yeah. Senior year isn't over yet. You still have a senior track season left yet as well. What will your training look like through the winter season before heading into your final HS track season? Training for track season is going to be on weekends. I play basketball, so a lot of my running will be during practice for that. I'm going to kind of relax and have fun playing one last year of basketball with my friends, but on weekends I will be working hard to get as fast as possible to come into track season strong. Do you have any plans for after high school, or any ideas of where you might want to run afterwards? I'm planning on signing during basketball season. I am currently looking at Kansas, Kansas State, and Wichita State. If you could give advice to younger and prospective runners from all around the state, what would you have to say? My advice would be to have fun with it. This is such a difficult sport to do, and you go through a lot of pain during it, so you have to enjoy it. Surround yourself with the right crowd, and make as many memories as possible while you have the opportunity, it goes by quickly. Always be humble, and never get satisfied. 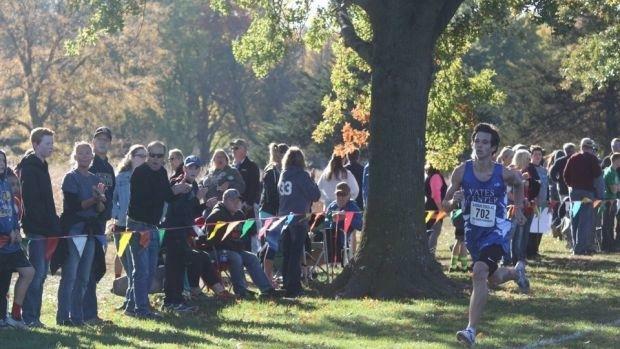 You've had a big impact on Kansas high school cross country the last few years. Looking back on it, whats something that has played a big role in that? What is something that helped you get to where you are today? I think the support from my community has played a big role in my success. Coming from a small town, almost everyone knows how I have been doing, and they are really excited about it. The energy that the town puts off is really inspiring, and it helps a lot when I struggle with motivation, it really keeps me going. And now for some actually serious questions... What is your favorite course you have ever ran on and why? ....Least favorite? My favorite course is definitely Rim Rock. It's such a pretty place, and such a hard course, it really tests what you are made of. Plus that is where I see the most competition every year, with a lot of my friends being competitors. The crowd there is crazy too, running in front of that many people is always fun. I don't have a specific least favorite, but I'm not a fan of courses that have parts you have to run twice. There's no possible way I could pick one… My top three are the Lion King, Brother Bear, and Tarzan. Favorite song(to run to, of course)? I usually don't listen to music while I run, but I definitely do when I work out. I'll listen to anything, but I'm a fan of Drake when I'm doing an intense workout. And lastly.... Do you have anything else to say to anyone reading this article? I'm not sure if this will include any Readers, but I wanted to say thank you to all of the people that I didn't even know that cheered me on at races. Ranging from other runners, to other coaches, to parents that I didn't know, thanks for the support, I really appreciate it! 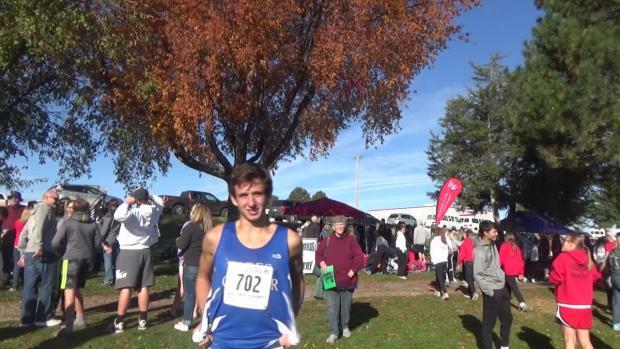 An interview with Hadley Splechter after winning the class 2A state title at the KSHSAA State Championships in Wamego. 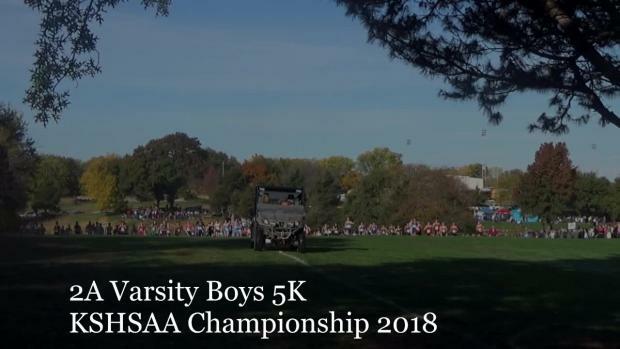 Check out the 2A race video here!